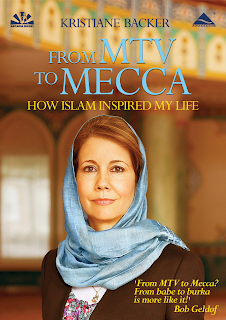 I've been reading a few books about Islam recently, and over the last few days have concentrated on two memoirs by Western female converts. 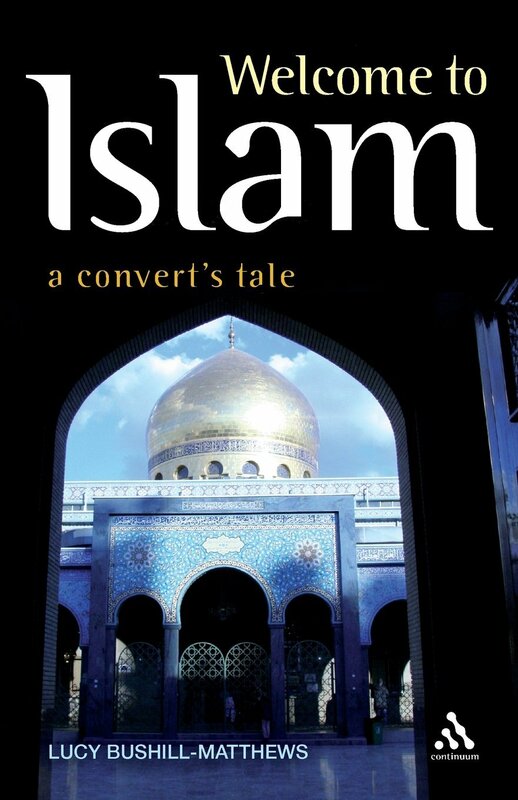 Welcome to Islam: a convert's tale is brisk, amusing and intelligent. Lucy Bushill-Matthews met her first Muslim at school. He was a boy called Julian, and a few years later she married him. By then she had, independently, made a commitment to the faith having made her own intellectual investigation - discovering at the end of it she was a Muslim at heart. She then describes her declaration of faith (shahadah) in front of witnesses, and her efforts to live the Islamic life in modern Britain. She marries, graduates, goes out to work, goes on the Hajj (interestingly I have read three different accounts of this and each one comes over as quite a different experience) and has three children. She describes how she copes with the reaction of her relatives, colleagues and neighbours, and also exhibits a refreshingly independent attitude to mosque life. I very much enjoyed reading it, and feel it gave me an excellent insight into what it means to become a Muslim in today's world. Lucy Bushill-Matthews does not dwell on the types of different Islam, preferring to concentrate on the purity of the ideas. Kristiane Backer, in contrast, embraces the Sufi style of Islam. This is the mystical branch of the faith and is popular with western converts. Kristiane, a former MTV presenter, leads a particularly glamorous life. 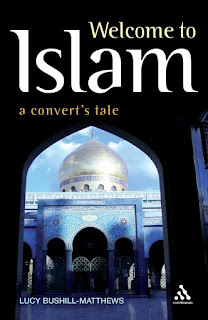 She becomes interested in Islam after being courted by and falling in love with Imran Khan. In From MTV to Mecca she describes her life with this former Pakistani cricketer, their break-up, the hurt and then two short-lived marriages to other Muslim men. They both expected her to lead restricted lives, and her description of the struggle she feels as she endeavours to live up to their expectations for her is heart-felt and touching. Her faith in Islam remains strong, however, and finds that it eventually guides her to a new inner peace. She gives an interesting account of her spiritual experiences in embracing Islam, and how her need for something more fulfilling than presenting rock videos led her to a new life-style. The Illness of King James. It states in one of the history books I'm reading (from 1973) that King James I /VI suffered from porphyria. But under further investigation, I found that the current theory was that he suffered from mild Lesch-Nyhan Syndrome. This is a genetic disease, carried along the maternal line, which causes the build up of uric acid - and hence the withered kidney replete with kidney stones revealed at the king's autopsy. LNS also is an explanation for the king's clumsiness and why he only learnt to walk when past infancy. Although he did not seem to suffer any intellectual impairment until the final stages of his life, he was in constant abdominal pain and suffered from gout - again symptoms of mild LNS. 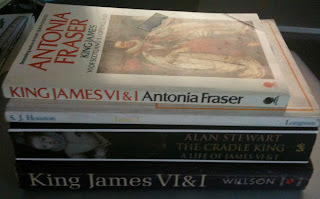 But King James I/VI did not suffer from porphyria, and neither, apparently, did George III. This latter theory was postulated by a mother and son team of psychiatrists in 1968, and has subsequently been assumed to be true ever since: including the author of the book I am reading at the moment. I have often thought that in some ways a historian who purports to write 'the truth' can, in some ways, be more deceptive than the novelist who only admits to writing fiction. Sometimes facts can be wrong in ways that fiction never can be. 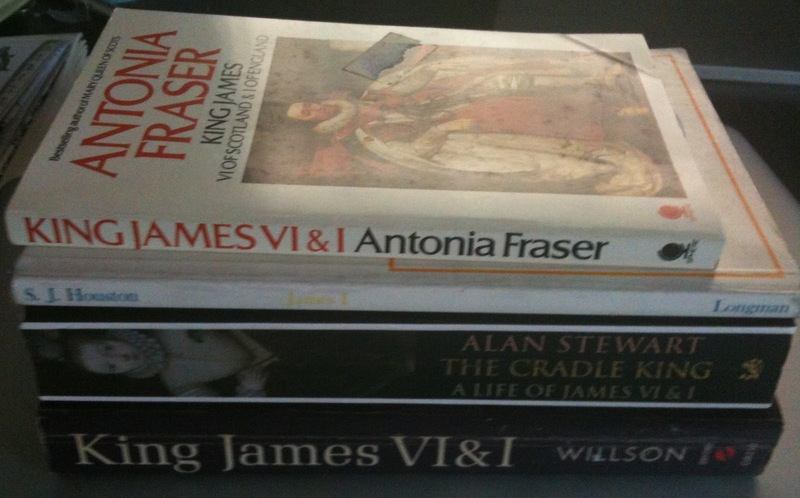 King James VI of Scotland and I of England. He unified the kingdoms of Scotland and England. He had a succession of male favourites which he petted and kissed in public. He had seven children by his Danish wife Anne, only four of whom survived childhood. His first son died in young adulthood, so it was Charles who succeeded him - and was executed by the Roundheads. His single surviving daughter, Elizabeth, married Frederick, 'The Winter King' of Bohemia, and is the direct ancestor of the modern British royal family. He survived several plots including the famous Gunpowder Plot. He had an American colony named after him. He had to borrow a pair of silk stockings to keep up appearances when the English ambassadors came to visit him in Stirling. His father was murdered by his mother, Mary Queen of Scots ....probably. He ordered the writing of a modern version of the bible which was the standard used for centuries. He preferred hunting to duties in government. He was scared of loud noises. His wife employed Inigo Jones to build an ornate silkworm house in her garden at Oatlands. When he was five he saw his grandfather died from a stab wound and never forgot it. He planted mulberry trees all over his kingdom including the site of Buckingham Palace. He hoped to make his new kingdom a monger of silk as well as wool. The idea that his venture failed because he planted the 'wrong sort of mulberry trees' (red rather than white) is wrong. He hated tobacco and wrote a Counterblaste to Tobacco in 1604. He also campaigned against witchcraft and was personally involved in witchhunt trials and torture. He wrote a book called Daemonologie against witchcraft and provided the background material for Shakespeare's Macbeth. He wooed Anna by writing a sonnet which went into rather too much detail on the effects of lovesickness. In his writing he bared his soul.